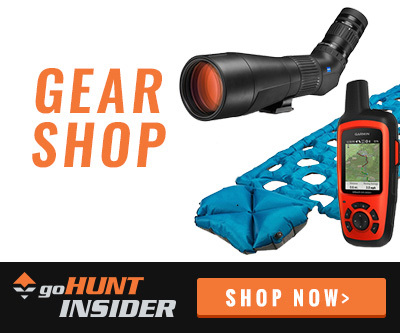 To show our appreciation to our INSIDER members, the goHUNT team will give away even more awesome products in March. There's something to be said about quality optics... and a new spotting scope could be a huge benefit on how your upcoming season unfolds. There will be 5 winners this month. 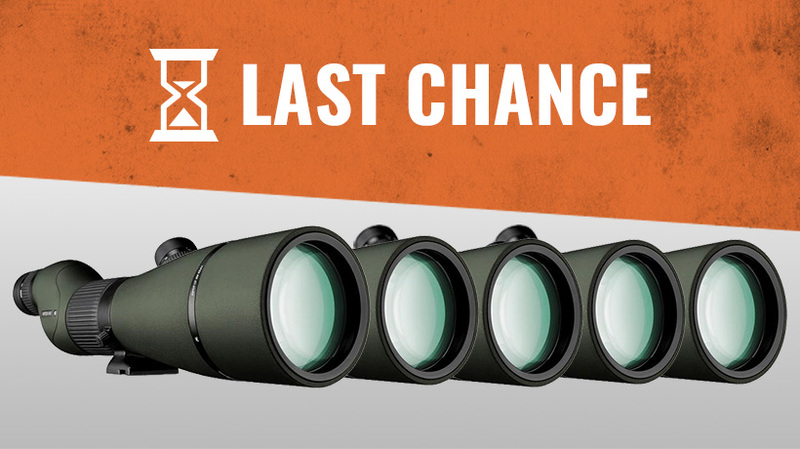 Each winner will get a Vortex Viper HD spotting scope in the specs of their choice. Winners can select either angled or straight and between 65 or 85 mm. Total value $4,500 ($899.99 per spotter). The Vortex Viper HD is the newest offering in the spotter line from Vortex in 2018. This spotter features an ultrasmooth, fluid, and sleek helical-style focus that allows you to get crisp details while glassing. This focus ring keeps the spotter's profile smaller for ultimate packability. Also, the durable outer coating will protect your spotter from accidental damage. This spotter is built to take on any hunting situation. Besides for all these great features, you can't go wrong with Vortex's VIP unconditional, unlimited lifetime warranty. Length 17.5" 14" 18" 14.6"
In recent months, we have given away 8 Stone Glacier EVO 40/56 backpacks (Valued at $582 per pack), 15 Sirui T-024X Carbon Fiber Tripods w/ C-10S Ball Head (Valued at $199.99 per tripod), 78 items in The 12 Days of INSIDER giveaway (valued at $16,500), five (5) Browning X-Bolt Hell's Canyon Long Range rifles (valued at $6,350), three (3) Zeiss Gavia Spotting Scopes (valued at $6,000), ten (10) sets of Sitka Gear clothing (valued at $5,580), twenty (20) Klymit KSB 0° Down Sleeping Bags (valued at $5,000), and six (6) Leupold riflescopes in their Vx-3i line (retail value $1,299). Check out all of our INSIDER giveaways here. I appreciate that you don't troll us with drawings where one winner takes the mother-load. You guys are welcome to chill at my camp anytime. Need this spotter for my spring bear tag. Thanks for all the awesome giveaways this is a great site. Would be awesome to win a spotter. Straight 85 if I win! Thanks for the invite. Win or no win being a member already a winner. Hello from a contractor in Afghanistan new insider. So, when are draw odds for the giveaways coming? Great job on on these. The gear you guys give out is always awesome. Thanks for the awesome giveaways. I haven't won anything yet but I like having the opportunity! Thanks for all the great information and awesome opportunities at some great gear! Oh man all I can say is wow!! Could really really use this. New member here and working on putting a western hunt together for my kid and i and on a budget. This would so help out. You guys are awesome for doing things like this for hunters. Please call my name! I need on of these so bad and Vortex is the best! Man I would love to win one of these. My pops has wanted one so bad!!! !